Crochet these out of the ordinary daffodils as you indulge in creating a garden species. Daffodils normally grow in shades from white to yellow, but today, they’re many beautiful daffodils in other colors. 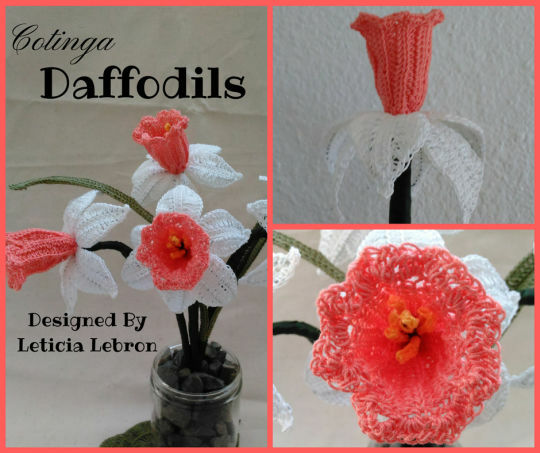 This daffodil is of the pink species and it is very easy and fun to make. This pattern inspires you to experiment with the other beautiful garden varieties as well! Crochet these blooms with this step by step photo tutorial.